Remembering Past Happy Places, and my Happy Place Now. This really started me thinking of how my “Happy Place” has changed over the years. When I was a little girl I had a couple of “Happy Places”. One was my closet. It wasn’t a very big closet, but I loved to take everything out of the floor, and just play in there, I even remember camping out in my closet. 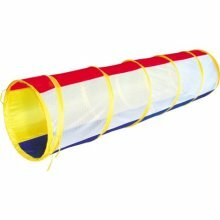 On the same note I had a toy that was like this big tunnel tube, I loved it. Both of these places gave me a quiet place for me to go and think…or hide…and let my imagination run wild. My tube was bright Green, with a design on it. But you get the idea. 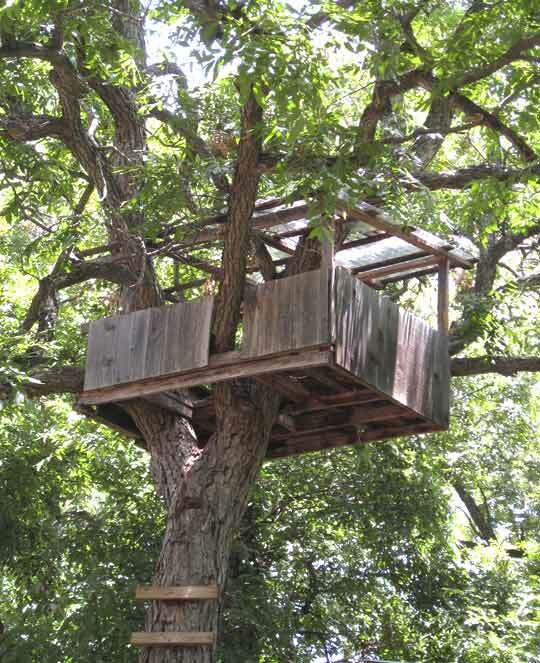 This is a tree house palace compared to mine...but I loved it. I “tree house” put that in quotes, because it was really just boards I nailed together as a makeshift ladder to get up in a tree, and a couple of boards wedged in the branches to sit on. But oh how I loved it…and the happy times I spent there. Again, a place I could go to think, hide, be by myself….and let my imagination run. When I was a teenager, I had 2 “Happy Places”. One was right down the road from where we lived. There was a family who had horses. 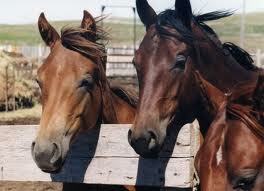 I used to sneak on their property and visit the horses. After a while, I started to brush them, and groom them….one day I was caught. Luckily, the family was very nice, and offered to let me ride any time I wanted as long as I continued to come and take such loving care of their horses. (What a deal! I was 14, and considered this my first job.) On the back of those horses, I felt free! Safe, and happy! I had a purpose…and I loved every minute of it. 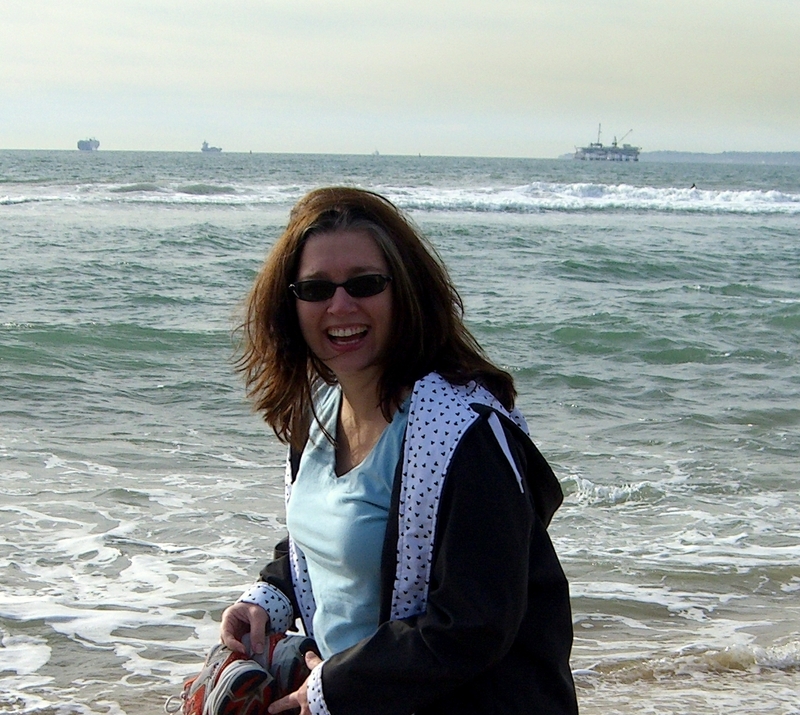 Me, just a few years ago at Long Beach, CA. As you can see, still a Happy Place for me. 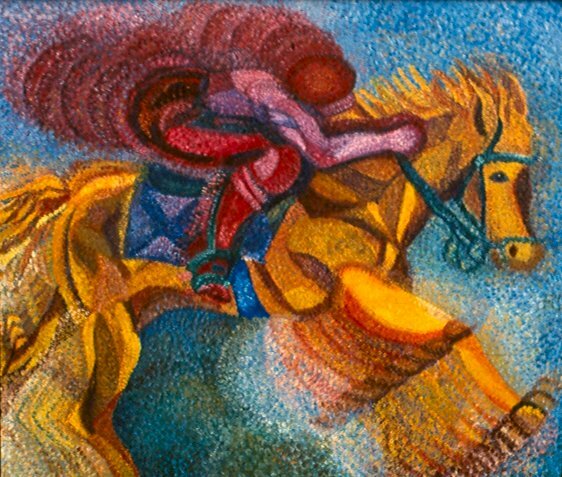 The Jockey - One of my paintings from college. In college, my “Happy Place” was in the Art Studios at school. I was at peace there. I was in my element. A friend once told me that she loved art, but I ate, drank, and slept with it! It was my life…my how things have changed. I miss that girl. (I was excited last week when there was a Painting Category on Jeopardy, and I answered every question right! Perhaps I still know a thing or two?) When we bought our house, I planned for my art studio to be my Happy Place, but things just haven’t worked out that way. Hopefully, I’ll begin to feel it again soon, but for now, it’s mainly just a room that stores all my art supplies. It kind of makes me sad…all the potential…but still full of a lot of hope, and vision for the future. If you are a regular reader of this blog, you will know that I’m currently trying to find my artist within again. I’m sure she’s in there, look forward to meeting more of her soon. This week I’ve been thinking about where I feel the happiest. Admittedly, I’ve been going through a rough patch, and a happy place can be a bit hard to find. So I thought…and thought…I remembered all my past happy places, but they just didn’t seem to fit now. Then I felt it…the warmth enveloped around me…and I knew I was in My Happy Place. Where is my Happy Place Now? In my husband's arms! My Happy Place!! and with my little Family! Do you have a happy place? Tell me about it! I LOVED this blog! 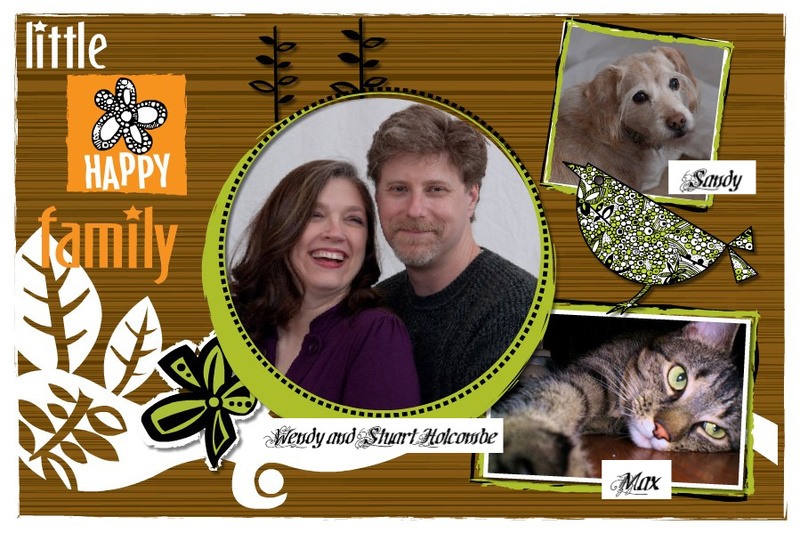 It brought tears to my eyes to see the lovely picture of you and your husband! Your art is amazing. Show more! My happy place is also with my husband and my family. These are the people (and animals!) that are always there for me in good times as well as bad. I know you’ve had a rough go of it lately, but I am certain it WILL get better for you! Thanks for sharing! I found your art! Simply amazing! You have a true gift! I concur — the piece of art you shared was fantastic. I really hope your artist studio takes shape as you would like it to, and it becomes another happy place for you. Funny how often the beach comes up as a happy place; there really is something magical and special about the sea, the tides, the shells, the sea glass, the calmnes that seems wash over you on a beach. This is a wonderful post and great family pictures. I chuckled a bit when you talked about the closet. Mine had sliding doors and I used to pretend they were elevators to whatever place I wanted to go to that day. I think I even drew an open button on the wall. Thanks for jump starting the memory a bit, I forgot that I used to do that. What a nice happy post! I love it! I’m so glad so many of you like this post. I’m glad that FibroDAZE came up with this theme. It really made me think. I was having a hard time thinking of where my happy place was right now. Thank you all for the comments about my artwork. I’m trying to get there again. 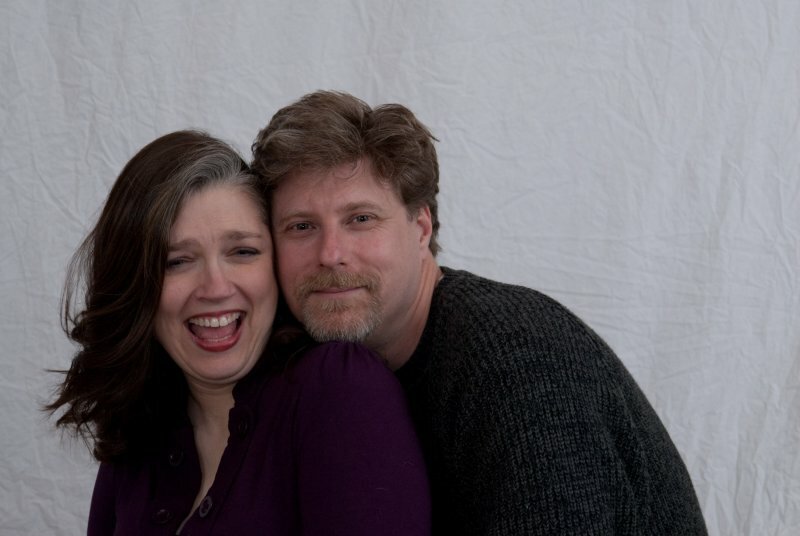 The family pictures were taken a couple of years ago. When I’m feeling better, I think we should do it again. Maureen, Love the closet that was your elevator!! We need to let our imaginations run wild again like we used to, don’t you think? I agree. Life and being an adult makes it so easy to put off imagining and playing unless we’re with kids. And, even then, there’s not as much time because of work and responsibilities. 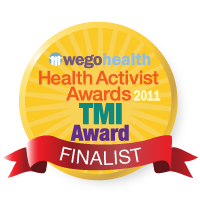 And that’s before throwing our chronic illnesses into the mix. We need to have more fun as a balance to everything that goes on in our lives. In junior high I created a little place in my head called Unicorn Grove, and I went there to feel safe. Today there are several realms in my head, but Unicorn Grove is still there, a part of the Crystal Demesne. In real life…I don’t know. My bedroom, I suppose, with the door closed. In high school there was the library. The science fiction section, of course. In college, there was still the library, deep in the stacks in a place in the basement I called The Dungeon. And the computer lab. Definitely a safe place for me. Now it’s hard to feel safe. Sometimes my cave of an apartment doesn’t feel like somewhere I want to be. Your house is a safe place, my friend. I just can’t get there right now. In general these days I tend to just close my eyes and find one of those happy places within. http://www.sustainablycreative.net/ is a link to an interesting site about creativity, and drawing. Came across it awhile ago; just remembered it this morning and thought that you might be interested. Hi Wendy, Just looking at the beautiful painting you did when you were in Art School made me feel happy.